Creekside Senior Living was too fancy. It felt like I walked into some big grand hotel. Their pricing was too much for what we could afford. The few staff members I met were very nice and very good. The dining room was nice and open. The apartments were very nice. I saw a studio, a one-bedroom, and a two-bedroom. They had a pond outside, a movie theater, and a gaming room. However, the staff who accommodated us was young and a little inexperienced. Creekside Senior Living is a new facility, and I was very impressed with it. It's really nice and had food available anytime. The people were nice, and they had a memory unit available. The grounds were wonderful. They had a putting green and a pond for fishing. The place was well-kept. You can have a meal any time, and if it's after hours you can go down to their bistro where they had yogurt or fruits. They had exercise facilities and a laundry place. The pricing was reasonable. We chose Creekside Senior Living for my ex-husband. It's almost like a five-star hotel. It has lots of things for people to do including a putting green, a pond with fish in it, barbecues, and an outside patio area with umbrellas over tables and a place where you can actually have a family get together. It's awesome. The food and their eating schedules are very good. They're open all day. Someone doesn't have to be there between six and nine for breakfast; they can have breakfast at three in the afternoon if they want. They've have snacks there 24/7. They have bingo, a movie room, and movie night. They take the residents to dinner and to movies on occasion. They will take them on scenic drives, they have men and women meetings, and they have church services. It's wonderful and it smells new. Describe the overall population of assisted living residents at Creekside Senior Living. What is their average age? What are their favorite things to do? You will find that our general population is a young and more Independent community. We enjoy outings and different events that promote independent living. We still can and do provide all services that are needed when the time is right for care and other needs that need to be met. What programs or activities does Creekside Senior Living offer to enrich residents' well-being? You will love all of the activities that enrich your life here at Creekside. We have daily exercise classes that are held in out Athletic room as well as our walking paths around our outdoor living areas. What places are near Creekside Senior Living or within walking distance for assisted living residents to enjoy? We are located near main street in bountiful which offers a variety of options. We are located also just down the street from the local Rec center which has a full pool and gym. You will find that family can easily come visit as we are right now the freeway and have easy access both on and off I15. What transportation services does Creekside Senior Living offer to assisted living residents? We offer both a private concierge service that can help you get to and from both medical and dental appointments as well as a bus that we can go on outings and scenic drives throughout the valley. What makes the chef or dining program at Creekside Senior Living exceptional? What kind of menu can assisted living residents expect? You will find that the restaurant style dinning in our all day dinning room will accommodate all needs and desires. With our dining room open all day you can snack, eat and dine all day in comfort of know your needs will be met. As well we do have an additional Bistro that always is available with drink, treats and snacks for all who come to visit. On our menu you will find a wide variety of options as we now offer a heart healthy option of 600 calories or less at all meal times all day long. What safety features or security measures does Creekside Senior Living offer to assisted living residents? In our apartments we offer both an emergency response system and as well a daily check in option. This daily check in option allows our residents who are more independent to live at easy knowing that they are checked on without the annoyance of someone coming and knocking on your door everyday. With our aide and medical team in the building 24 hours a day you will find peace knowing if you do have a need it can be met at any hour of the day. If Creekside Senior Living accepts dogs or cats, what indoor/outdoor areas can they enjoy? At Creekside you will find that we are pet friendly. We also have a large outdoor living area that has a 1/4 mile walking path that allows our furry friends and resident to enjoy a safe and comfortable walk. Our philosophy of service at Creekside Senior Living is that Independent and Assisted Living encourages an active and free senior lifestyle that supports residents' privacy and dignity. Our senior apartments are considered the largest and most spacious in Bountiful. Creekside provides Independent Living, Assisted Living, Memory Care and Respite services. Our community environment is rich in daily activities, with all day restaurant-style dining, graciously appointed interiors and apartment styles. Enjoy life and learn to live with the freedom of Independent Living. At Creekside Assisted Living we want to encourage inspiration and help achieve your dreams. Our trained staff and friendly environment is perfect for you or a loved one with additional needs. Put your trust in us and live worry free. We are committed to offering the highest quality care to those with memory-impairment. Our staff is specially trained in the challenges of Alzheimer’s and dementia, and are here to help serve our residents and their families. Eat anytime, your personal tastes are always on the menu in the dining room, open nearly 12 hours daily. We offer fresh, seasonal entrees, prepared just how you like them. Go ahead, challenge the chef to make your favorite home cooked meal. Whether you are inside or outside, our activities team will always have fun and exciting events planned at Creekside Assisted Living. Weekly outings to attractions and educational hotspot in and around Bountiful. Our full-service senior living with resort-style amenities in the heart of Utah, serving Bountiful, Salt Lake, Centerville, Farmington, Kaysville, Layton and surrounding communities. Come see for yourself. 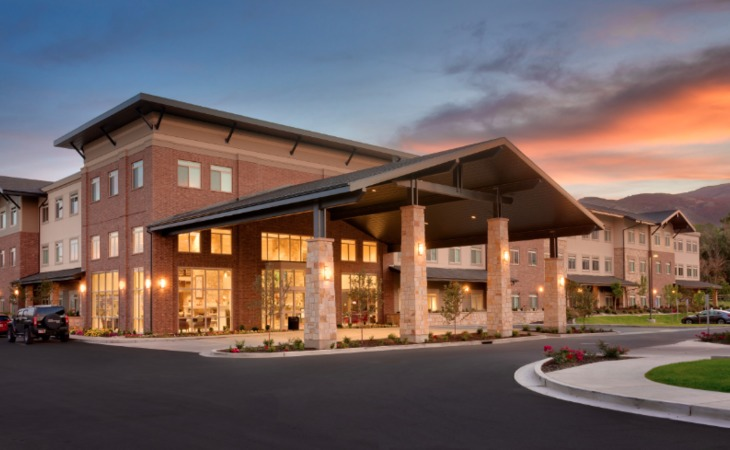 What should caregivers and potential residents know about Creekside Senior Living?